How to Find Out Everything Google Knows About You? Google has the answer to every question that you may be having. Whether you want to know how to live a healthy life, get the latest news about a certain personality or how to repair your car, you just need to Google it. Being the world’s biggest search engine, Google has evolved to become a go-to tool for all kinds of information. Apart from just being your favourite search engine, there are more things that you need to be concerned about Google. Is your privacy safeguarded on this search engine? Does Google know more about you than what it is supposed to know? Probably you may want to know the things that Google knows about you. 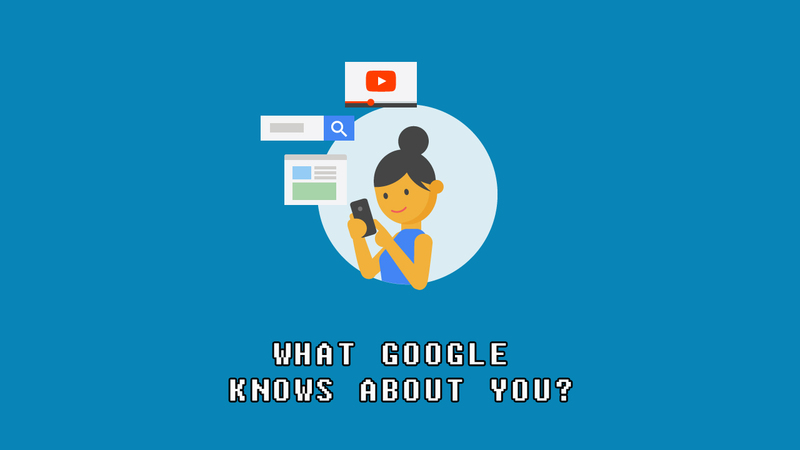 In this article, we will give you tips that you can use to know the things that Google knows about you. In addition to that, we will also show you how to block it from knowing some of your personal information. If you want to get rid of Google from your life, we will give you the best alternative search engines that you can use. From the surface, you may think that Google only knows the search terms that you use. In reality, there is a lot of information that Google knows about you. Most know Google Ads as one of the ways which Google uses to collect data. To curb this, they opt to install Ad blockers. Even despite taking this measure Google is still able to mine data from them. This is because most websites use Google Analytics tool. This tool feeds the webmasters information about you. How to see things that Google know about you? Some years back, it was almost impossible to know what the information that Google knows about you. However, times have changed. Google has allowed users to see some of the information that it has stored about them. To access this information, you simply need to visit the “My Activity” page on Google. On this page, you will find data on the searches that you have done and the websites that you have visited. If you are using any Google app, you will be able to see the information about your usage. On the other pages, you will be able other tons of data that Google has collected about you. One of them includes your location history. You will also find more information about your device including apps, that you have downloaded (if you are using Android app), contacts, among others. Still, on this page, you will be able to download all your search history. If you are careful enough, you might have discovered that there is a close relationship between Google ads and the things that you have been yearning to buy. This is because Google has a way of personalizing or curating its ads. However, most ads turn out to be vague of no meaning to you. Do you know that you can manage the Google Ads settings? Just go to the “Ads Settings” page and click the “AdChoices option”. On this page, you will be able to disable thousands of personalized ads that you don’t want to see. Turning off ad personalization feature can also work. If you are totally afraid of the information that Google is getting from you, you have an option of doing away with this search engine completely. After all, there are other search engines that can still give you the answers that you are looking for. Here are the top 5 Private Search Engines that Value Your Privacy and don’t track any browsing data.